Women’s legs had never received so much attention as they did in the 1920s. Flapper styles exposed the calves with short dresses that ranged from mid-calf to daringly just below the knee. Before the ‘20s, women wore stockings for warmth more than anything else. But once the legs could actually be seen – in public! – stockings became yet another fashion accessory in the style-obsessed decade. Stockings, also called tights or nylons today, of the ‘20s were made from silk, wool, cotton or synthetic rayon – a new material. 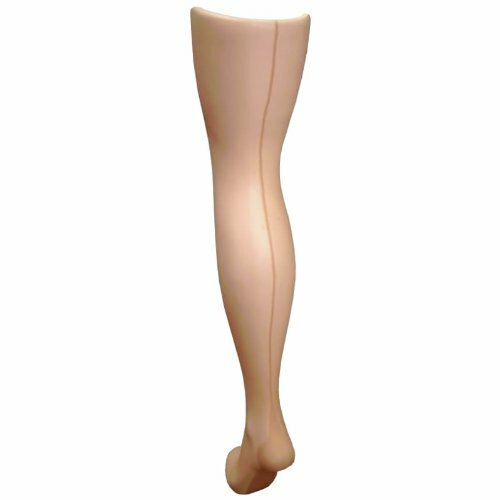 The rayon versions were so shiny that many women who wore them powdered their legs over the stockings to make them look matte. They came to about mid or upper thigh and had to be held up by garters or a garter belt. It was common for young women to “roll” their stockings down to just above the knee- a trick that wasn’t easy to master. Beige, ivory and pastel colors were favored rather than the old-fashioned black. Stockings also became very sheer for the first time, worn in the evenings – these were for fashion, not warmth! Plain tan or pastel colored stockings were the easiest choice, but for the most stylish women, plain colors would just not do! Decorated stockings were the fad during the decade. An allover pattern was worn often – checkers were a favorite, especially for sporty occasions. Stripes, polka-dots, bows, and zig-zags were also stylish choices. Feathers or flowers were embroidered around the ankles or calves with contrasting colors. Pictures could even be printed anywhere on the calf or knee. Since seams were still a necessary part of stockings, they were sometimes sewn using decorative thread in metallic or contrasting colors up the back or sides. Some stockings even laced up the back! Flapper girls started to get even more risqué with their stockings, especially for a night out. Stockings rolled down to mid-calf were associated with dancers and the nightclub lifestyle. Decorated gold or sliver band garters (yes, made of the actual metal) were worn just above the knee with rolled-down stockings, exposed whenever a skirt swung just enough – shocking the older generation yet again. 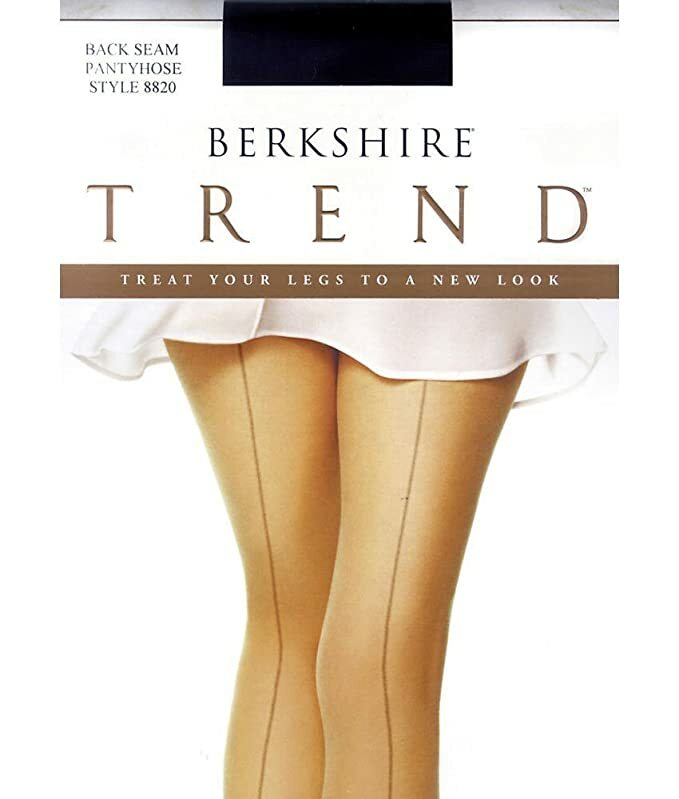 Learn even more about the history of 1920s stockings here. Take a look at all the colors and patterns found in 1920s stockings. For basic colors, choose nudes and tans one shade darker than your natural skin. Otherwise, choose a light pastel color that matches your dress: pink, yellow, light green, or ivory. 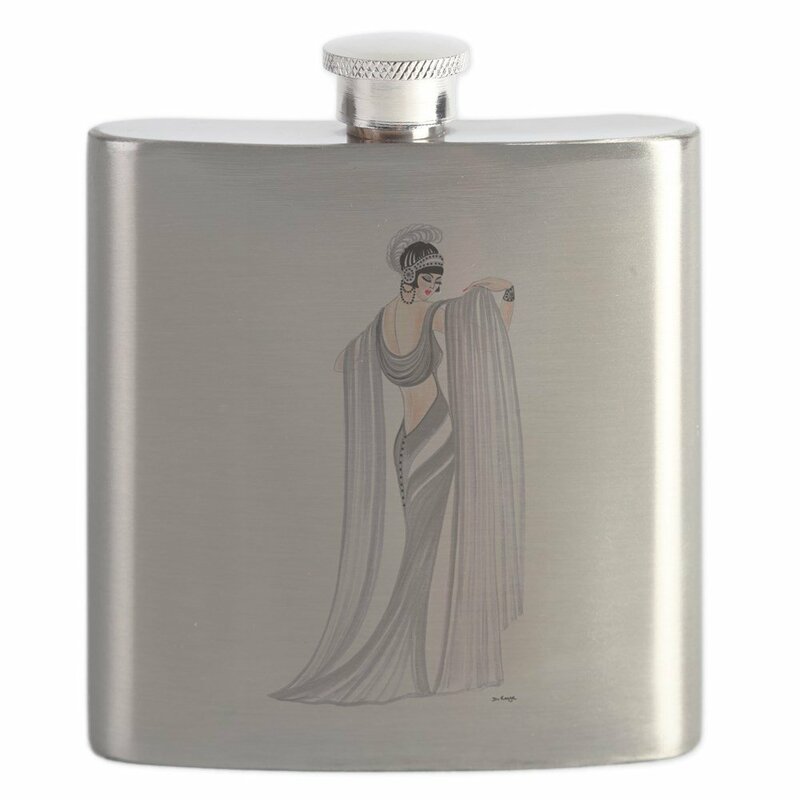 Black went out in the very early ’20s, but some mature women still wore them. Matte sheen is better than shiny materials. Wear one to two sizes up for a looser fit which will look more period correct. Unless you want to show off rolled down stockings or your garters, you can wear full tights- no one will know the difference under your dress. 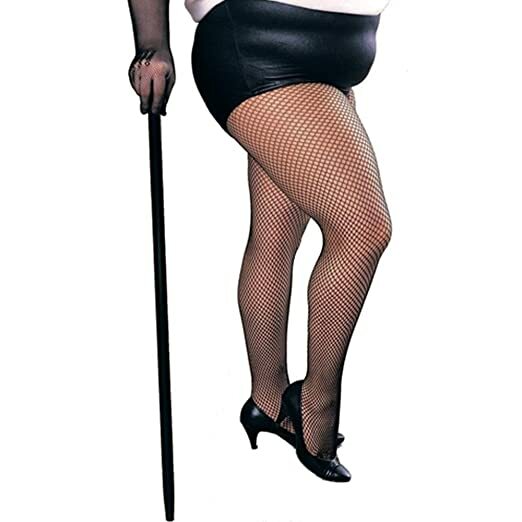 Do not wear fishnets unless you are going for the naughty stage performer look. If your stockings don’t have seams, you can draw one in with a eyebrow pencil that matches the stocking color. Get a friend to help. « Early 1920s “Astoria” shoes? Did women in the 1920s wear house with open toed shoes? love it that you did a stocking post for the 20s. i just finished reading “fashions of a decade/ the 1920s, and there were some interesting stocking pics. one woman had a portrait of her boyfriend printed on her stockings, I saw another pic from 1925 with a group of ladies all wearing crossword puzzle stockings. Yes they had all sorts of short lived fads when it came to stockings. Painting knee caps was one and crossword puzzle stockings was another. I have seen many vintage photos where I do not spot a seam and a few sites said skip the seams…I have worn them all the same and I love the attention to the calves and ankles it brings. I do not dress in or typical vintage or reproductions of such, as much as give a nod to my two favorite eras with touches. I never have been able to keep stockings in place with a garter belt or separate garters…I find often it either becomes to painful from being tight enough ( I have fibro) or they end up around my ankles, so wear full nylons. Wish I could wear them, and buy vintage, but on a nothing budget. Garter belts that work aren’t the kind from VS or F of H (I learned that the hard way!). Go to thrift shops and antiques malls to look for them. They should be sturdy, not flimsy. Another option is a girdle–open, closed, or with legs–with garters. Look for six garters rather than four. As for the rolling garters, they can be had in more than one size. If your local fabric shop doesn’t carry them, look online. Look on eBay, and Etsy. Know the measurement of the area you want the garter to be; write it down and carry it in your wallet (along with a tape measure) so that if you come upon a pair you’ll be able to check the sizing. Budgets? We’re all on one, especially these days! The trick is this: go to your favorite places on a regular basis. Keep your eyes open. In the past year I’ve picked up deadstock silk stockings–1930s at a guess–for $1.00 a pair. That’s not the rule, but it’s happened more than once. You won’t find those prices online, you’ll have to go to brick & mortar shops. Another bonus of being a regular: the staff will know you, and just might set things aside for you. I am still learning all the ins and outs of adding the 20’s/30’s feel to my outfits. This helps a lot, adds a bit more freedom. I was unaware they wore seamed stockings, I thought those did not hit till the 40’s?! Stockings from the 20s are still available. If you’re buying them, bear in mind that they were sized–by the length of the foot, at least. A size 8 or 8 1/2 shoe would mean a stocking sized 9 1/2 (inches). No stretchy fabrics, so yes, the fit is different. In my own collection I have cotton with silk clocks, silk, and art. silk (artificial silk). I also knit them from fine wool, and add stocking tops–those are fit for sports wear, not evening attire! Plaid stockings were very popular, too, for sports wear. French fashion plates in particular featured them. Be sure to wash carefully by hand, roll in a towel and dry completely before wearing…and darns (done carefully) are certainly acceptable, though I wouldn’t wear darned stockings with my evening frocks. Garters for rolling can still be found at most fabric stores, in the notions area. That’s exactly what my grandmother used until she died. You can (as noted in your post) find or make jazz garters to place under the roll of the stocking. Very pretty and racy. Thanks for the extra insight. I have yet to buy a vintage pair although I REALLY want a pair of pure silk stockings. Nothing quite like the look and feel of vintage. I do love silk stockings. They require extra care–be sure that your hands are smooth (or keep a pair of cotton gloves around) for gathering them up prior to putting them on. Be sure to gather very carefully from the toe up, and ease them on slowly, checking the line of the seam as you go. Never jerk them up–you’ll hear a quiet hiss and then they’ll ladder all the way down, now fit only for dust rags!